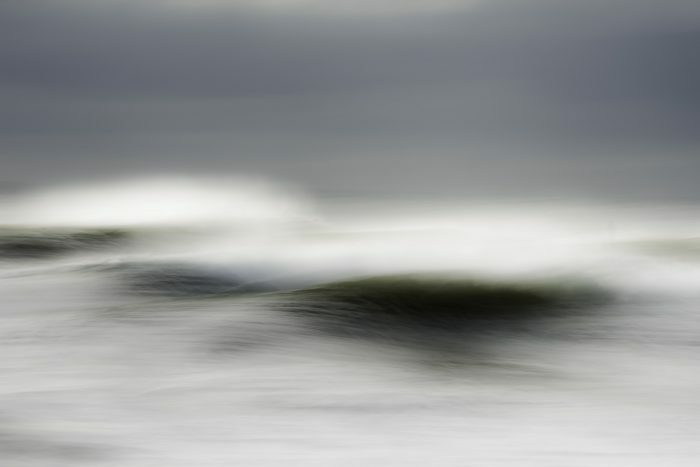 Laureen Vellante creates impressionistic photographs that depict the ocean with an abstract interpretation. 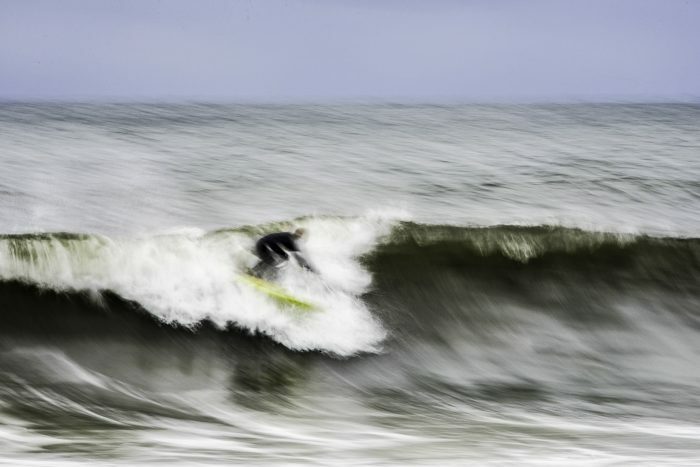 She began as a photojournalist and approaches her oceanic subject matter by telling a visual story. Her compositions reflect the constant ever-changing life of the sea. Be it calm or ferocious, fluid or still, her photographs capture the power and fury of the water’s peaceful beauty. She has traveled up and down the East coast in all sorts of weather and at different times of the day. Laureen draws inspiration from the sea, to which she is dedicated to give back and preserve. Laureen opened Destination Haus in Amagansett, NY with her daughters, Kendra and Carlyn in 2016. The concept is to represent artists from around the world and offer home decor products to complement the art. Destination Haus features curated works that reflect a variety of styles from around the globe inspired by the ocean, travel and nature. 1) Can you please tell us a bit about your background as an artist and a bit about how Destination Haus came to be? As a self-taught photographer, I was inspired and influenced by the master photographers while working at Elite Model Management in NYC during the 80’s. I built myself a darkroom and began working as a photojournalist. Today, my fine art images are abstract because my journalism is so realistic. I want the opposite for my personal work. Destination Haus started as a creative concept idea combining my skillfulness and the creative talents of my daughters. We wanted to curate an environment where one could shop their preferred destination with hand-selected merchandise from around the globe. With 20 artists worldwide and my photography, we’ve created an ingenious art gallery and home decor business in the Hamptons. 2) Please describe the inspiration for your Coastal Series. Please describe the concept behind the art piece and how you brought it to life. 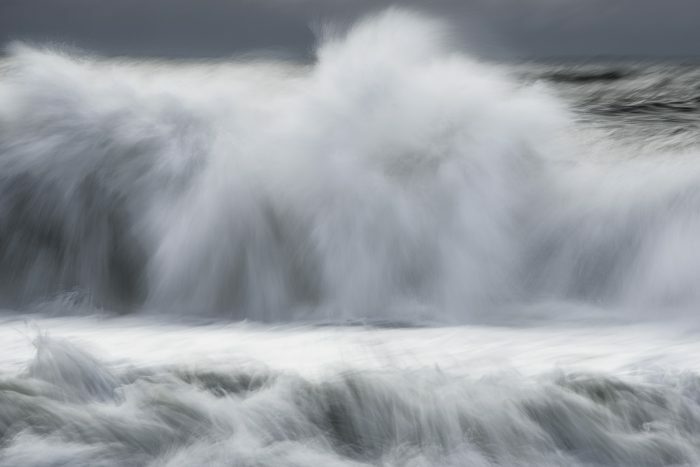 My first-hand encounters with a series of storms and hurricanes propelled me to travel the coastline and create beautiful abstract images of seascapes. While growing up, I spent my summers in the Jersey Shore and was always fascinated by the constant changes of the coastline due to weather, seasons, the moon, tides, and time of day. The movement, the speed, the calm, the colors, and the mystery always caught my attention and my camera could capture what the human eye can’t always see. 3) What is your favorite piece? Can you please share why it is your favorite piece? I don’t specifically have one favorite piece, but my favorite subject matter is photographing waves before, during, and after a storm. You could say that I’m bit of a storm chaser. 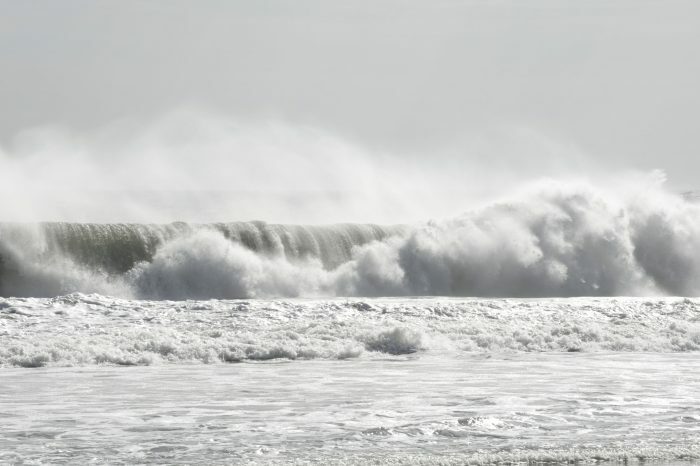 If I had to select one, ‘White Waves’ is very close to my heart because it’s taken at the Jersey Shore after a storm and it’s powerful, dynamic, and neutral. 4) What is your relationship with the ocean and the environment? Is there anything specific about the ocean/water subjects that speaks to you as an artist? After the devastating destruction of Hurricane Sandy, I asked myself ‘how could something so gentle be so fierce?’ I felt as though I had to heal and forgive nature’s wrath for all it’s uprooting of the coastal landscapes and surrounding communities. This photographic journey reaffirmed to me the beauty along the seashore and the resiliency of the ocean. One day it’s wild with fury, and the next day it’s surreally calm. As an artist, I am hoping to develop awareness where we can see past the destruction and cultivate the beauty. By sharing my images, I strongly desire to create awareness around ocean conservation and hope our polluted waters can, one day, be free of plastic and debris. 5) Why has Destination Haus decided to partner with Oceanic Global Foundation? At Destination Haus, we are so passionate about wildlife, nature, and our planet Earth. The effects of environmental pollution are so out of control in our waters and on our lands. My heart goes out to nations such as Haiti, Puerto Rico, and Indonesia, to name a few. These places are so underdeveloped and they’re fighting an uphill battle to get this under control. Oceanic Global is an amazing non-profit organization that shares our vision and passion to create awareness and bring positive change. We are honored to be partnering with Oceanic Global regarding this global epidemic. In the future, we envision clean air, clean oceans, less plastic on earth, and a thriving planet. We want to give back to our world, as it gives so much to us!